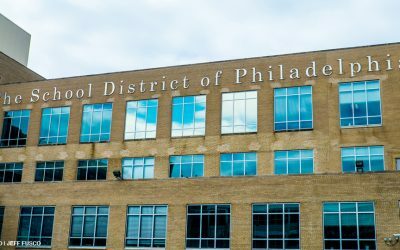 NYT: Do Philly Schools Face an Impossible Task? LGBT History Month Goes to L.A. Equality Forum in Philadelphia partnered with the nation’s second-largest school district in Los Angeles for LGBT History Month. Weirdest Partnership Ever? Not Really. Lady Gaga partners with Office Depot on a line of school supplies to benefit the Born This Way Foundation. The Milton Hershey School reversed its decision against admitting HIV-positive students, apologizing and offering the ninth grader at the center of a lawsuit admission to the prestigious boarding school for low-income students in Hershey, PA.
Kameron Slade delivers his speech for gay marriage at New York’s City Council. He’s in fifth grade.